Following the successful run of the award-winning musicals American Idiot and A Christmas Carol, the 21 motley crew of Newsies is making its stage debut next month in Manila. Winner of Tony Award and Drama Desk Award for Best Choreography and Best Original Score, the 2012 award winning musical originally produced by Disney Theatrical Productions, the group responsible for the massive stage adaptation of such musicals Beauty And The Beast, Aladdin, The Little Mermaid and The Lion King, hailed as the most expensive Disney Theatrical Production ever to be staged, will be produced by Globe LIVE and will be presented by 9 Works Theatrical. Globe the number one telecommunication network in the country earned the rights for the local production, the first company in the Philippines to be trusted by Disney. The premiere theater company, 9 Works Theatrical will once more showcase their talents as they bring this live onstage at the Globe Iconic Store Bonifacio High Street Amphitheater this coming July. 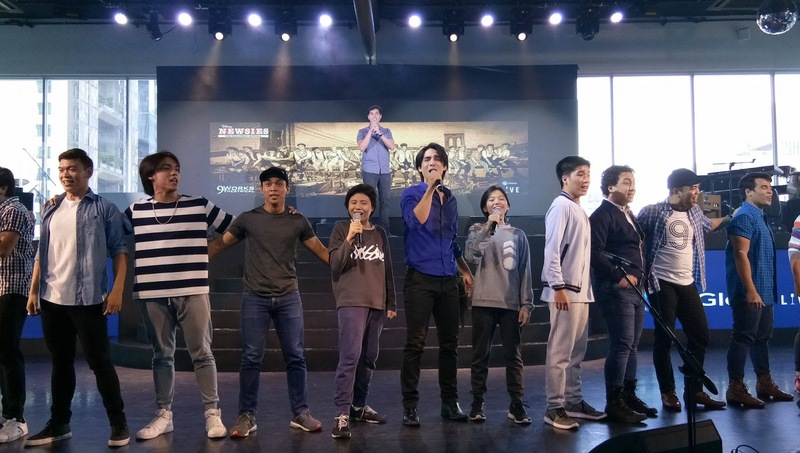 The cast and creative team of the local production of Newsies, faced members of the press at a conference held at Ibiza Beach Club on the afternoon of the 30th day of May. The 4,000 sqm classy, cozy and chic entertainment and dining venue opened on Easter Sunday, on the 16th day of April 2017. Originating from Movenpick Hotel Mactan Island in Cebu, the Ibiza Beach Club was a hip and hop ambiance for the said press meeting. 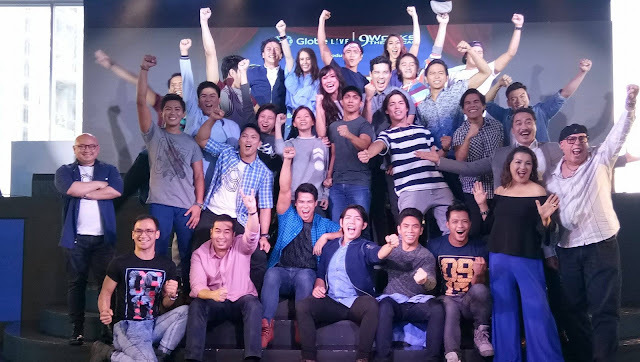 Strategically situated at the 6th level of the newly opened 29-storey office tower, W City Centre in the heart of Bonifacio Global City, the club is definitely bringing entertainment, events and dining in a different and experience level. Theater fans, guests and members of the press savoured and chilled with a signature 7-course meal served in an authentic Balearic-inspired featuring vegetables, meat and seafood marinated with Balearic sauces. From salads, grilled salmon, Tiger Prawns and New Zealand lamb, indeed a sumptuous meal was a delightful treat to yours truly. Another fine dining experience. Joe Caliro, Creative Marketing and Multimedia Business Senior Adviser and Executive Producer of Globe LIVE said in excitement that Newsies is the follow up after the hit show, I Dare To Dream, their first partnership with Disney. He was amazed and overwhelmed because Disney granted the rights for the local production of the musical. He believed that there is so much talent in the Philippines, with proper and extensive training, a truly world-class act can be achieved. 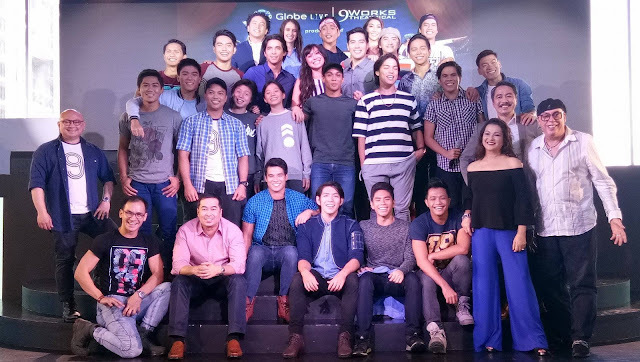 Caliro revealed that A Christmas Carol will have a repeat performance this coming November. Caliro's team were the people behind for bringing Wicked and the upcoming production of West Side Story, The Sound Of Music and The Lion King to Manila. With these accomplishments I can't help myself to personally thanked and credited him when I had the chance to speak to him after the program at the press conference. Robbie Guevarra, a veteran thespian is once again trusted to motivate and direct the show, following the smash hit, A Christmas Carol. His creative ideas will be seen soon, as he accepted to interpret this piece differently. He said that Disney strictly and specifically instructed them not to copy the blocking and the set design in the previous productions worldwide. Changes, alterations and arrangements in the book of Harvey Fierstein, music of the Tony and Oscar winner Alan Menken and lyrics of Jack Feldman is not allowed, which means same lines and sounds are exactly the same from the Broadway production which will be delivered and sung in the Manila production to fansies expectators. PJ Rebullida, award winning Gawad Buhay choreographer of American Idiot will be spearheading the 6 hours a day, 6 weeks Training Ground, a program dedicated to enhance and maximize the ensembles potential in acting, voice and dance - a triple-threat required by this demanding musical. Physicality, tenacity and flexibility is at stake, for dance routines in ballet, hip-hop, jazz, tap, contemporary, folk and even gymnastics. These were predominantly evident in the videos played at the conference from audition, casting and training. Staging this production that ran for two years with 1,005 performances in Broadway is quite a challenge for the creative team. With very impressive staging of musicals from the past, 9 Works Theatrical is the perfect theater company to mount this production locally. Traditionally and historically speaking, stage musicals were being adapted to film after a commercial and critical success, before, during and after the run. But Disney Theatrical is doing the other way around. They are adapting the film version to stage version, Newsies was another piece to be included in their hall of fame. Walt Disney Pictures produced the film version in 1992 which stars Batman himself Christian Bale, Bill Pullman, Robert Duvall, David Moscow and Ann Margret. It was then adapted to stage which premiered at the Paper Mill Playhouse in 2011 and had its Broadway debut in 2012. Unlike the film version that received mixed reviews, the stage version on the other hand, received positive reviews. Set in 1899, Newsies tells the story of the real-life newsboy in New York City. Mr. Jacobi and the Mayor, who was seen in multiple productions in both local and international shows such as American Idiot, A Christmas Carol and Miss Saigon. Franz Imperial as Snyder, the Warden of the Juvenile Center, was part of A Christmas Carol and casted at the opening of Hongkong Disneyland, Universal Studios Singapore and DreamWorks Movie Animation Park. Alex Diaz, Star Magic Circle talent and Myx VJ will be making his theater debut being one of the Newsies. Joni Galeste also from A Christmas Carol and Melissa Bell who worked as a dancer in Tokyo Disney Sea, Hongkong Disneyland and The Wizarding World Of Harry Potter Universal Studios in Osaka were both casted as Bowery Beauties. Supporting cast includes Anton Posadas, Ian Ocampo, Erick Arenas, Stephen Viñas, Ronelson Yadao, Jim Ferrer, Jordan Bartolome, Mark Anthony Grantos, Chesko Rodriguez, Jon Abella, Kendrick Evasco, Vyen Villanueva, Jan Mayo MC dela Cruz and Clark dela Riva. The highlight of the program was the preview excerpt performance of the whole cast of Newsies. Though it was just a glimpse performance of the said musical, I'm excited and overwhelmed to catch this production in full. 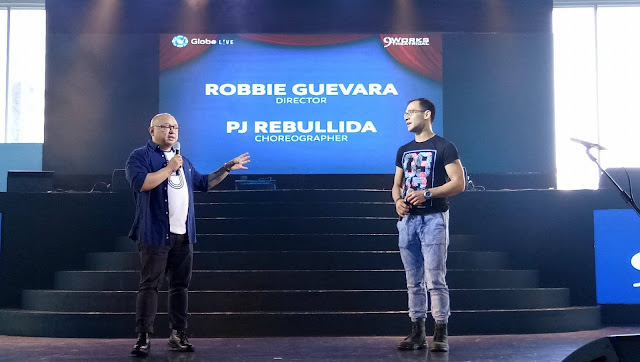 Globe Iconic Store Bonifacio High Street Amphitheater in Bonifacio Global City met the demand and the technical elements for the staging, the choice venue by the executives of Disney Theatrical. All performances for the month long of July is slated at 8pm. Schedule of performances: July 7 - 9, 14 - 16, 21 - 23 and 28 - 30. For tickets, go to go.globe.com.ph/newsies or www.ticketworld.com.ph or call them at 891-9999.